Agree! 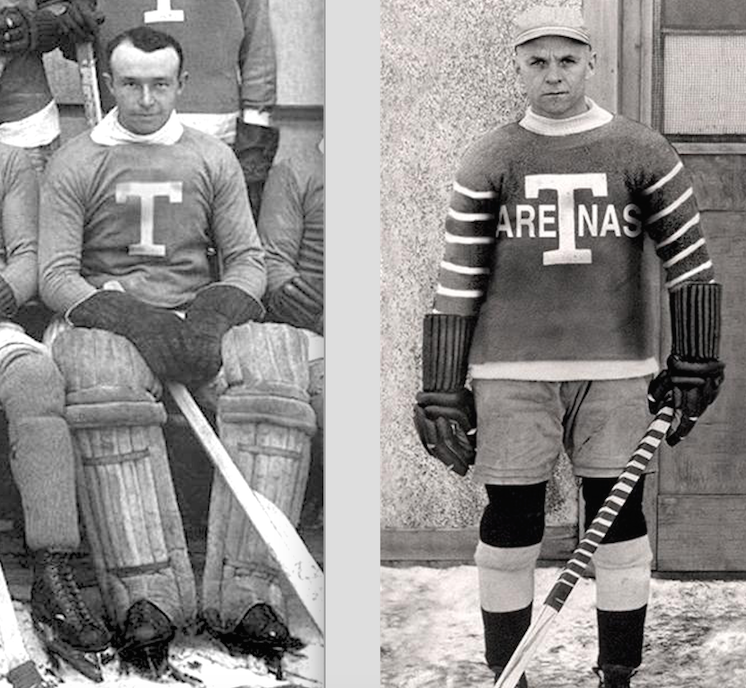 The simple 1917-18 “T” jersey would have been not only accurate, but more iconic. Great stuff, Eric. Keep it coming. Not sure how long I’ve had this, maybe 20 years. Photos on the cover show players wearing “T” shirts. “Deceptions and Doublecross” by Morey Holzman and Joseph Nieforth places the “birth” of the Toronto Arenas franchise at October 19, 1918, because at the NHL meeting held on that date, Hubert Vearncombe submitted an “application for franchise rights to become a member and partner of the National Hockey League on terms to be mutually agreed upon,” in the name of the “Toronto Arena Hockey Club” (page 197). According to Andrew Ross in “Joining the Clubs,” after the 1917/18 season, when Eddie Livingstone sued the Arena Gardens people for the return of the players’ contracts, the Gardens claimed they were under no obligation to do so. Why? The Gardens claimed their agreement with Livingstone covered the team in the NHA, which was still incorporated but no longer operating as a hockey league. They claimed Livingstone had behaved “fraudulently” by “wilfully suppressing” news of the impending shutdown of the NHA, and that their only recourse had been to form a new team, the Arena Gardens Hockey Club of Toronto, and enter it in the NHL. Ross cites court testimony from July 1918 here. So, at least as early as July 1918, the position of arena management was that the club had been the Arena Gardens Hockey Club from November 1917 onward. But even if that’s the case, as you note, Eric, reporters and editors of the Toronto papers didn’t call them the Arenas. I’m most comfortable thinking of the 1917/18 team as simply the Toronto Hockey Club. Ever notice how these supposed 1918/19 Toronto Arenas player photos, like the one of Cameron above, bear the hallmark of being digitally retouched? 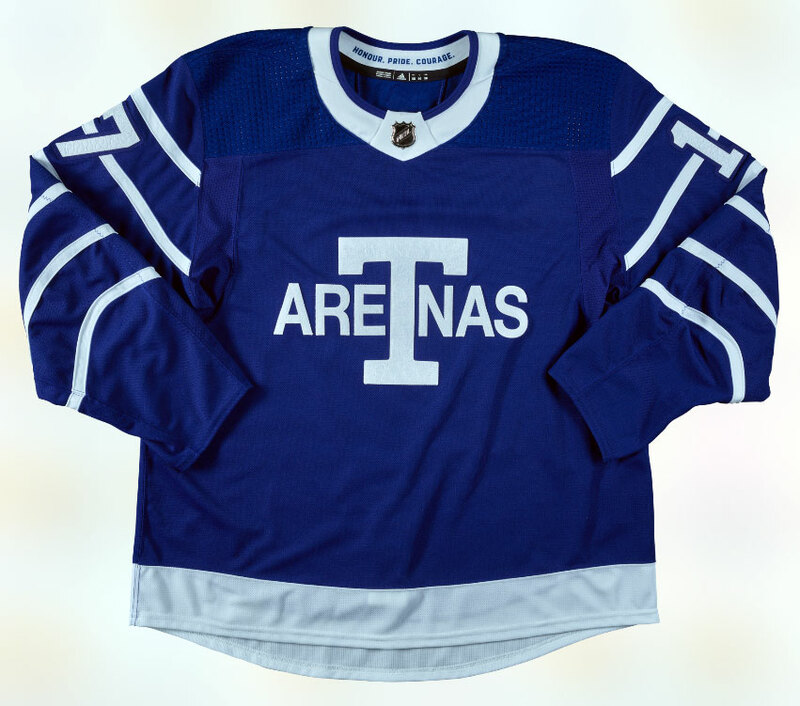 “Arenas” on his sweater is quite apparently in the Helvetica typeface, which didn’t exist until 1957. (There’s one of Bert Lindsay out there, where someone appears to have gone to the trouble of making the “Arenas” text look a bit embossed.) The striping on the arms is also suspect. And aside from the lettering and the striping, what they are wearing is basically identical to pictures claiming to depict the 1917/18 Toronto club. Photos of the 1918/19 Arenas seem to be rare, at least on the Google machine. Holzman & Nieforth paraphrase the Toronto Globe as saying that the team that took the ice on December 23, 1918, wore uniforms “which borrowed from the colour scheme of a local amateur team, the Ashalantas” (page 201). I honestly don’t think you can make a sound judgment about the colour of the sweaters from that photo. But someone later in the thread did go to the trouble of unearthing a December 5, 1918, story in the Globe about the Ashalantas, who seem to have played only one game before their bid to join the OHA junior series was denied. The story refers to them as the “blue and white.” So it’s a safe bet that the sweaters were some shade of blue. But what interests me about the undated photo is that the trim on the necks of at least some of the sweaters is tone on tone. In other words, that detail is not identical to the year before. So not only did the 2017/18 Maple Leafs miss an opportunity to, as their marketing bumf claims, “go back to the beginning,” but the design seems to be based on a sweater that may well never have been used in an NHL game. Sorry to go all [crazy] on you, Eric, but you’ll agree there’s something about the early history of Toronto pro hockey that brings out the uber-geek in some of us! Yes, the early Toronto history certainly does bring out the “uber-geek” in some of us! James Milks and I had a brief discussion about the Arenas photos yesterday. And, yes, I think that photo you link to MUST be legit, and must be from a newspaper. As to colours, I see no reason to doubt that the Blue Shirts wore blue shirts, that the 1917-18 shirts are those very same blue shirts, and that other than adding Arenas and some stripes, there’s little reason to believe the 1918-19 jerseys would have radically altered that color scheme. With regard to your first comment, clearly an application was made by Hubert Vearncombe on behalf of the Arena Gardens for a franchise in 1918-19. And just as clearly, the “temporary” franchise held by the Arena Gardens was returned to the NHL after the 1917-18 season and before the 1918-19 season. It does seem that at some point after the 1917-18 season, even the newspapers began retroactively referring to the 1917-18 team as the Arena Hockey Club. My guess would be the Arena people started pressing the name change in relation to the Livingstone suit to be able to say it was clearly a different team. Another well-known author with an interest in this time period seems to believe that during the 1917-18 season, Arena management was happy with, and certainly didn’t discourage, the use of the Blue Shirts/Blueshirts name … probably as a familiar “marketing brand” and that it was likely Livingstone’s lawsuit that pushed the Blue Shirts name out of popularity. 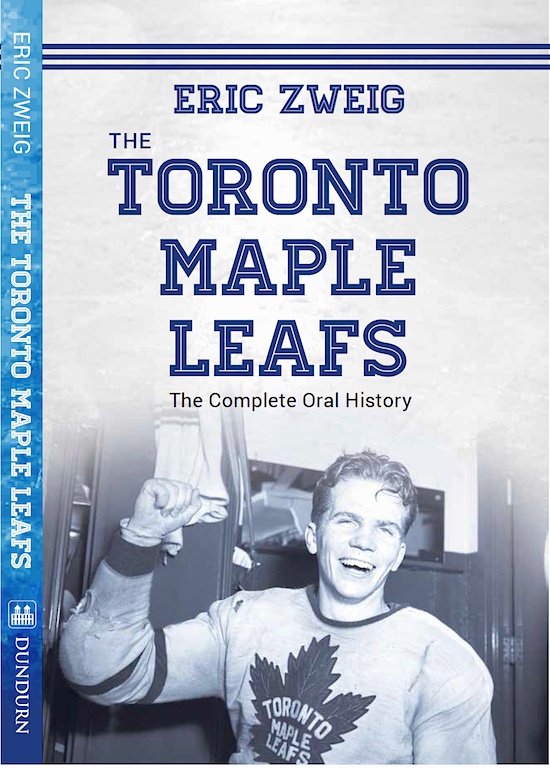 Fascinating history of the Leafs b4 they were the Leafs! I had NO idea…And in Dec. 1917 my Father was 3 weeks old…. My point is: I really enjoy reading about this ‘old’ history! You really bring it to life for a ‘hockey dummy’ like me!!! Hahaha….